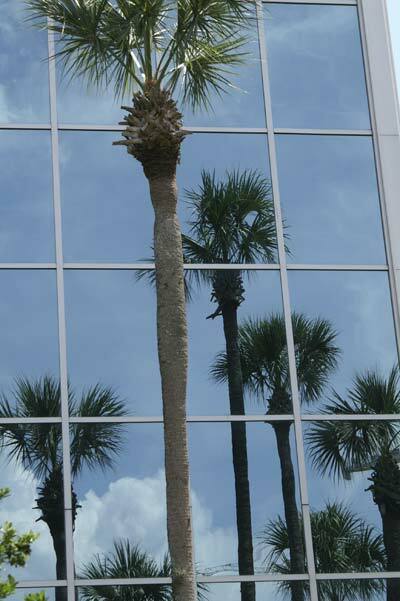 A truly "one of a kind" property in the heart of the tourist area in Orlando, Florida. 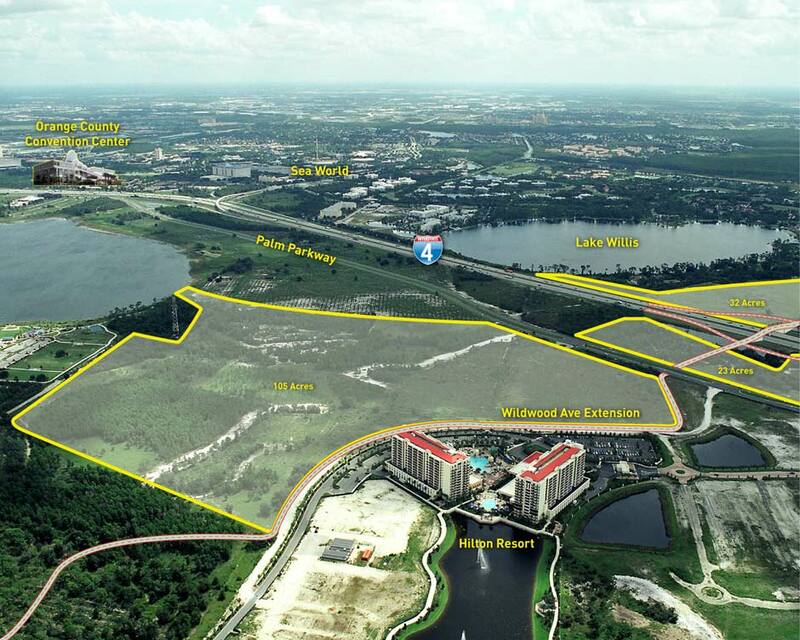 The property is uniquely positioned between Disney World, Universal, Sea World and the Orange County Convention Center along the Interstate (I-4) corridor. 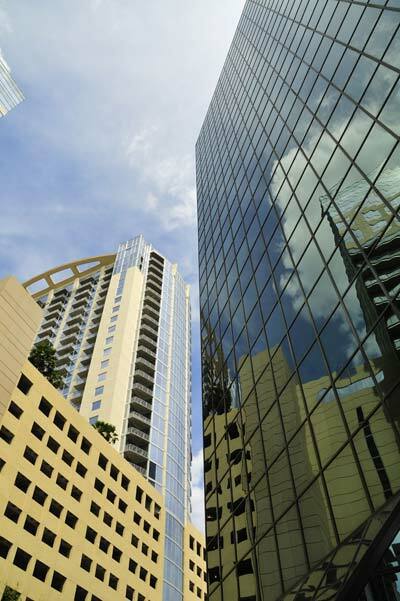 No other property like it exists in the State of Florida. 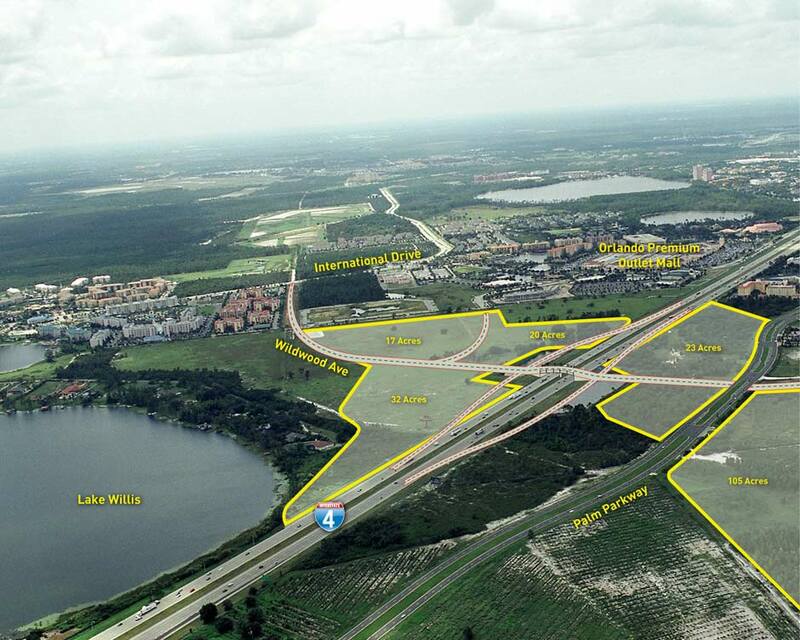 The 198 ± acre property straddles both sides of I-4 with traffic counts of 165,000 ± vehicles per day. 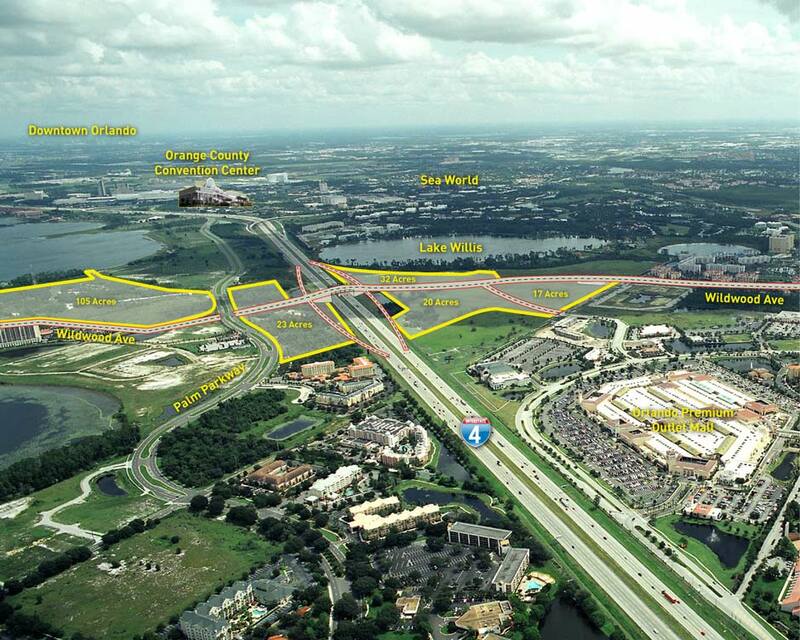 A new roadway will bisect the property and connect International Drive to Palm Parkway via a bridge over I-4. 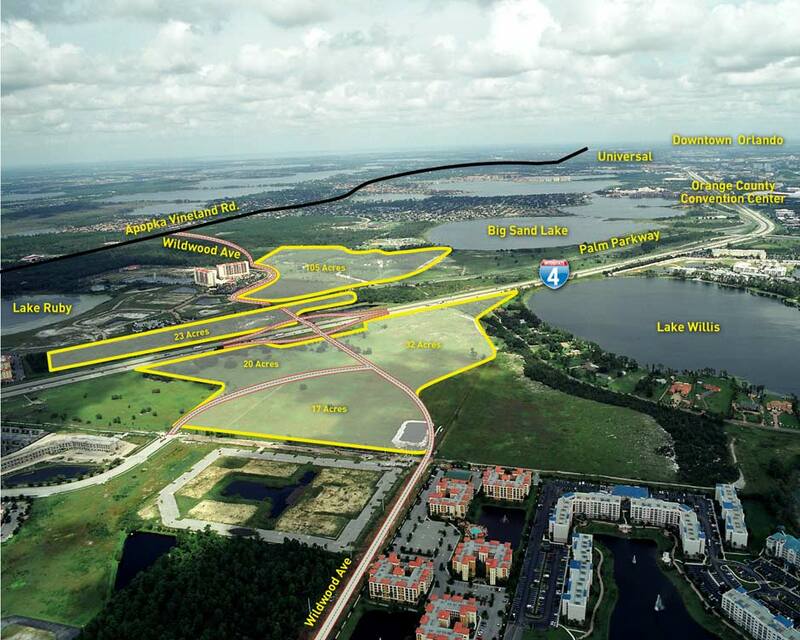 The roadway project will start construction in March of 2011 and is projected to be completed by November of 2012. The bridge is being constructed as a full interchange and the location is the only new approved Florida Department of Transportation full interchange along the entire 132 mile I-4 corridor between Daytona and Tampa. The ramps are not currently designed or funded. 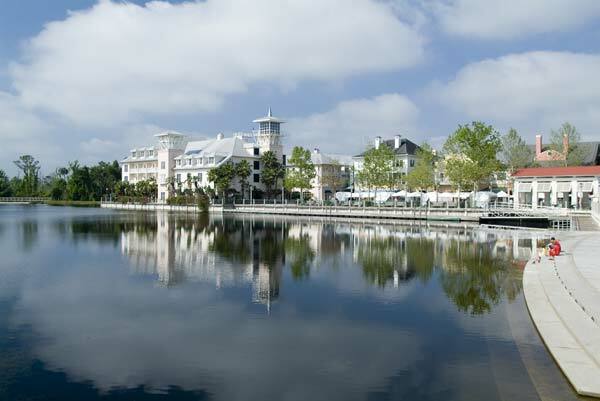 Orlando/Orange County Convention & Visitors Bureau, Inc.
Orlando Premium Outlets - Vineland Ave. 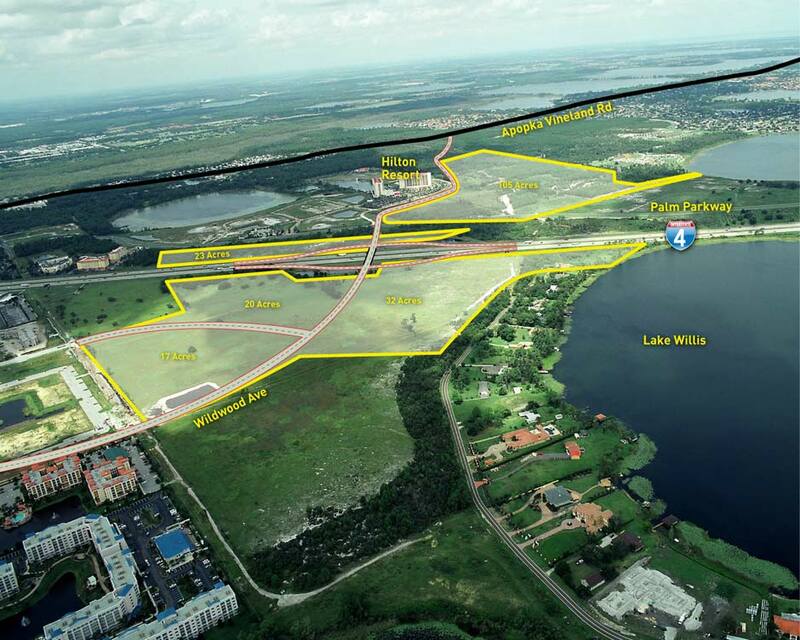 In March of 2011, the Wildwood Avenue Extension will start construction from International Drive through the Eastern portion of our property and bridging over Interstate 4 to Palm Parkway with a projected completion date of October of 2012. 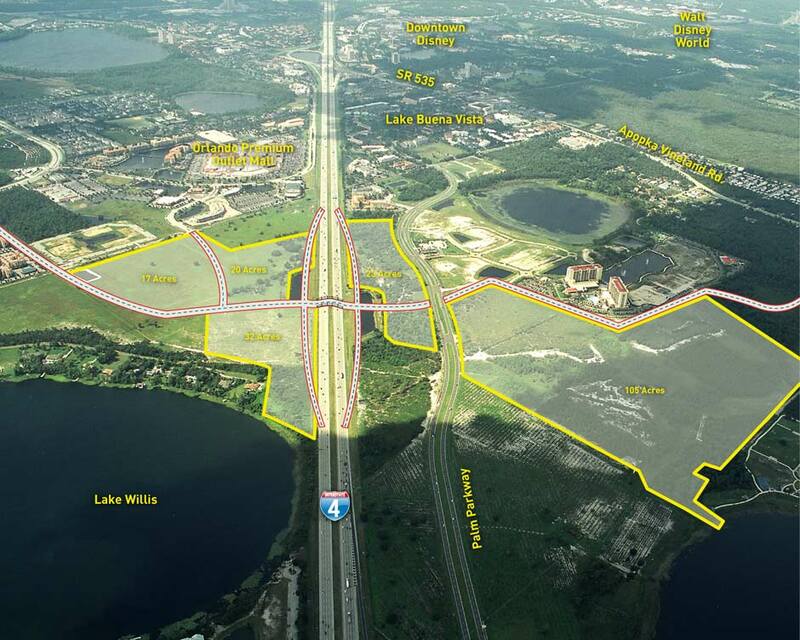 The roadway project is the first two phases of a project that will ultimately connect International Drive to Apopka Vineland Rd. on the west side of I-4. The bridge is designed and being built to be a full interchange bridge and the location is an approved Florida Department of Transportation full interchange. 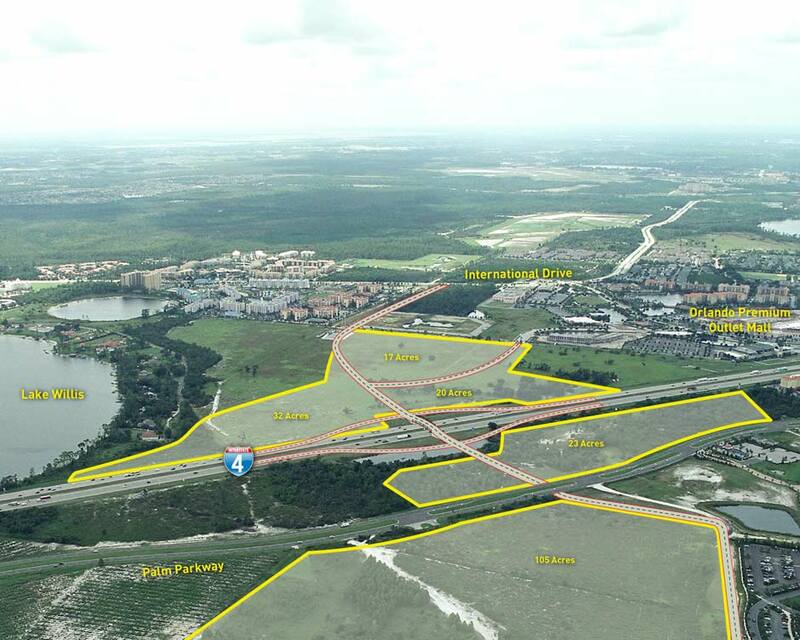 The approved interchange is the only approved new interchange location along the entire 132 mile I-4 corridor from Daytona to Tampa. 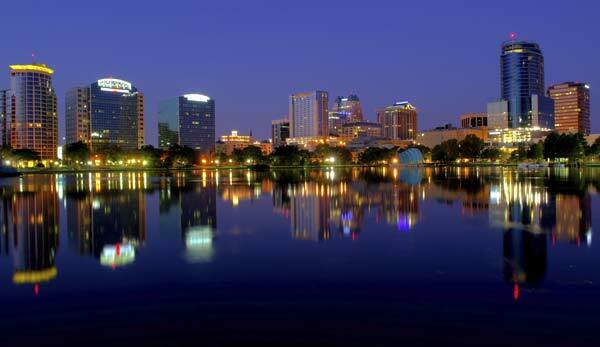 2.6 million people live in the Orlando MSA. 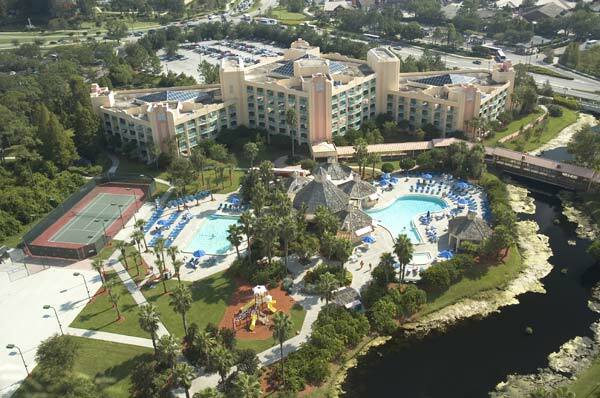 Orlando has 114,000 ± hotel rooms with about 30,000 located along International Dr. 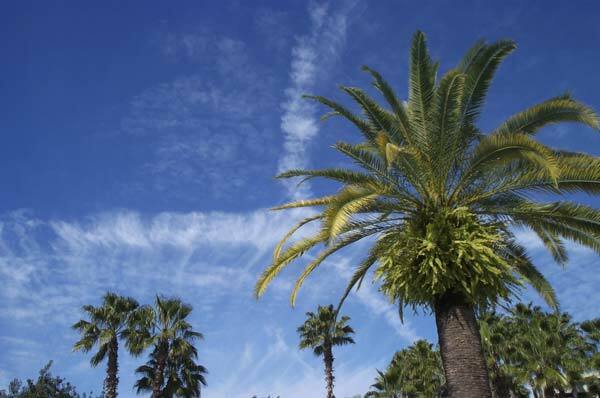 The Orange County Convention Center has just over 2,000,000 square feet of exhibit space making it the second largest in the United States. 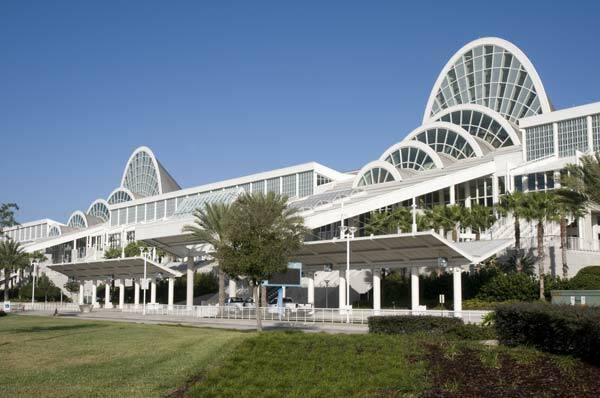 In 2009, the convention center hosted 84 conventions or trade shows with attendance of over 1 million people. Orlando has 7 out of the top 10 attended theme parks in the United States. 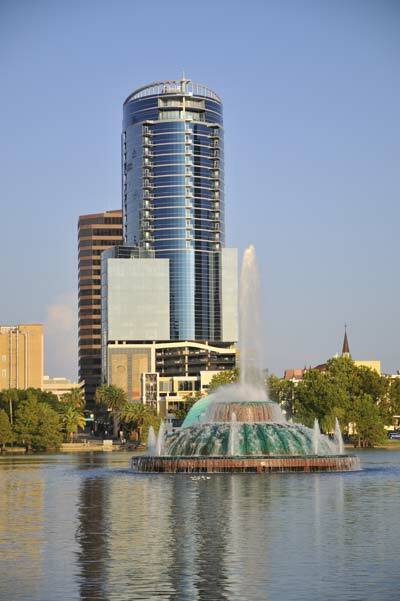 Over 46.5 million tourists came to Orlando in 2009. Disney, Sea World and Universal had paid attendance of 75 million people in 2009. 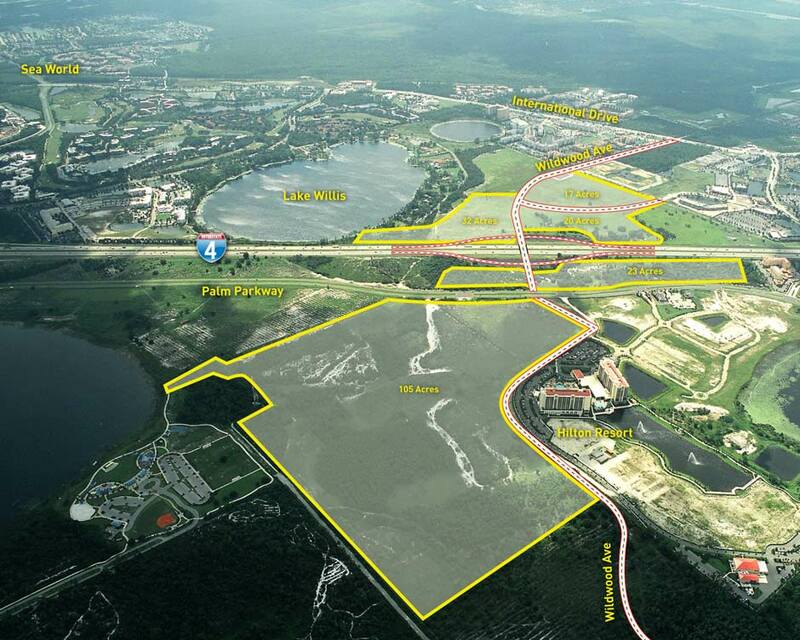 Disney (located about 2 miles from our property) is the areas largest employer with over 62,000 employees. The Magic Kingdom is the number one attended theme park in the world with paid attendance of 17.2 million people in 2009. 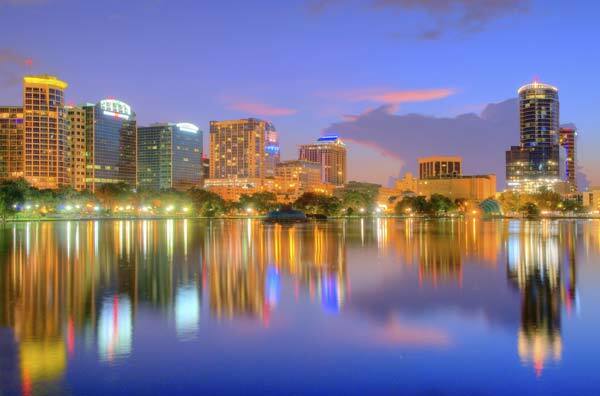 With almost 34 million travelers in 2009, Orlando International Airport is the 11th busiest in the United States and the 22nd busiest airport in the World. 2010 Copyright Maury Carter & Assoc, Inc. All rights reserved.